Help break the blockade that the State Department is promoting by issuing travel warnings on visits to Cuba. The 10-day Emulation Tour to Cuba is planned for Friday, June 1 to Sunday June 10, 2018. 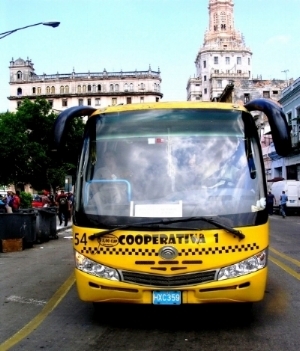 The trip will include visits to industrial, service, and agricultural co-ops as well as visits to ELAM (the medical school), medical facilities, a school, and an ecological reserve. Talks and dialogue will take place on the changing Cuban economy, now placing a much higher value on worker-owned co-ops, as well as education, health care, and mass participation in decision making. Space is limited to 15 persons. The cost is $1800 plus airfare. Remainder of the payment must be made by May 10. Send your deposit of $500 payable to “Human Agenda”, 1376 N. 4th Street, Suite 101, San Jose, CA 95112. Human Agenda is a 501c3 tax-exempt organization. 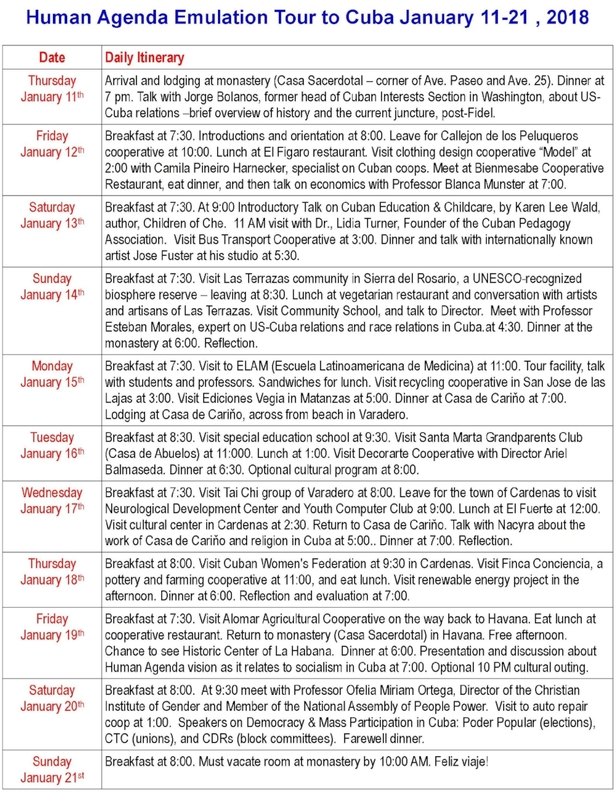 Below is a sample itinerary. We will update the agenda as soon as the activities and places are confirmed.